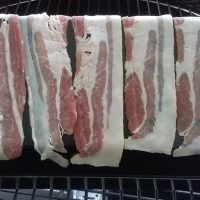 Looking for how to grill turkey bacon? If your like a lot of people you’re looking to grill some healthier meals and substituting turkey bacon on that bacon cheese burger is a place to start. As with most things you grill you have a couple of how to options. 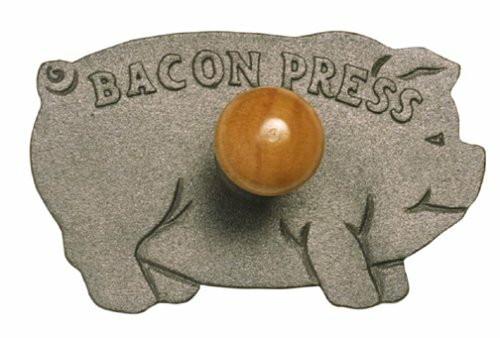 We used Butterball thin and crispy turkey bacon for this article. 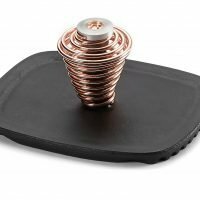 I found it on sale for $1 and because I wasn’t sure if I’d like it or if grilling it would even work I figured why not? First we needed a baseline for comparison sake so we microwaved a few pieces and tried it. Surprisingly it was crispy and salty and not half bad. I thought it cooked up very well. Obviously I am no turkey bacon expert but this turkey bacon was cut very thin. It will take a lot of extra care to flip it and not break the strips. The first way we attempted to grill turkey bacon was to microwave a few pieces about 2/3’s of the way before grilling. In this case the instructions called for it to be microwaved for 1.5 minutes. We cut that down to 1 minute wrapped in a paper towels. After it cooled down and the excess grease was absorbed we took it outside to the grill. Placing the slices over medium high direct heat they began to crisp in about 2 minutes. We flipped them and waited another 2 minutes or so. 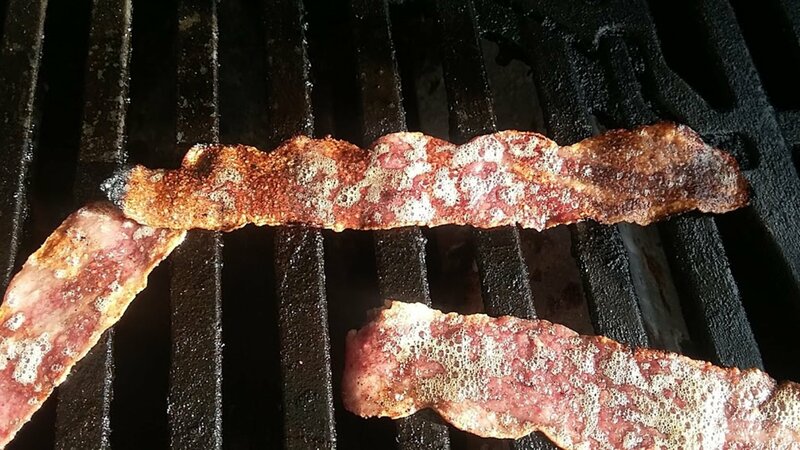 You could see the brown crispy ends and the grease bubbles. It was very easy to see when it was done. We then placed them into paper towels to absorb the excess grease. They came out salty and crispy the center was not as crisp as the ends and had a slight grilled flavor. Again placing it directly over medium high heat. You could see it beginning to cook right away. It took only 3 to 4 minutes per side to cook it. During that time I moved the strips the around the grates. In an attempt to get the center to cook more thourghly . After pulling it off the grill and getting rid of the excess grease we tried it. The ends were very crispy and had more of a grilled flavor then the pre-cooked, however the center was a little chewy. To combat the chewy center we cut a couple of pieces in half. They took just as long to grill and twice the labor. The end result was crispy all the way through. This is what we liked best. If you prefer it chewy: We made some that was barely crispy by folding it in half. It needed to be grilled twice as long as laid out piece. 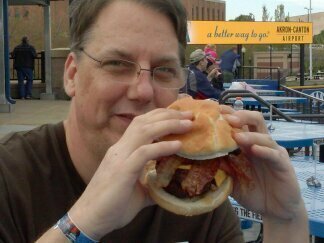 This turned out chewy from end to end so a thicker cut bacon may be the way to go. The conclusion: I was surprised that there was no real greasy mess left on the grill. 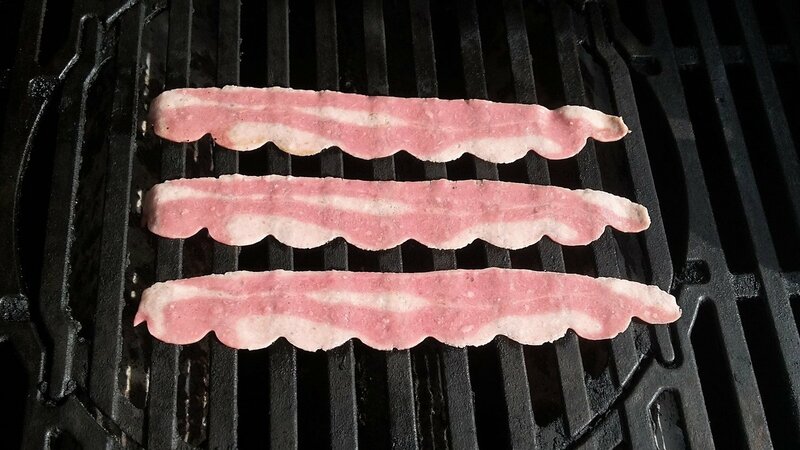 The turkey bacon seems to be just lean enough to grill cleanly. If you are going to attempt this I suggest cutting the slices in half and cooking it raw. The bacon we used was so thin our tongs were pretty useless so we flipped it with a fork and our fingers. We attempted to put some on tin foil on the grill but it just stuck to it. I am certain that I’ll grill turkey bacon again most likely on a regular basis. 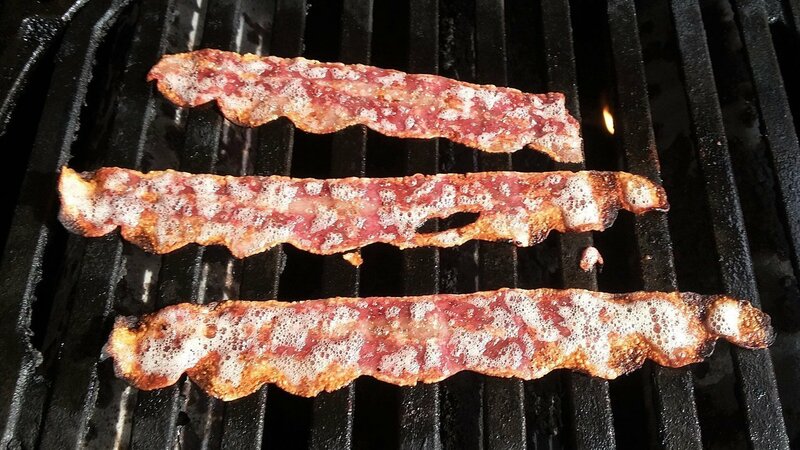 For best results grill turkey bacon raw over a medium high direct heat for 3 to 4 minutes per side if you like it crispy. 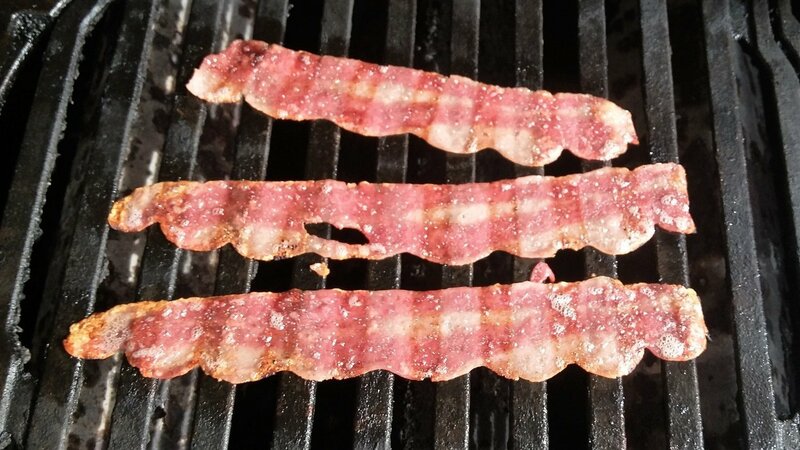 For a chewy turkey bacon grill using indirect medium high heat for 6 to 8 minutes per side.